RAZOR CRISP PROFESSIONAL TELEPHOTO LENS : Made of the highest quality optical coating lens and upgraded HD glass to reduce glare and reflection for sharper, clearer image. 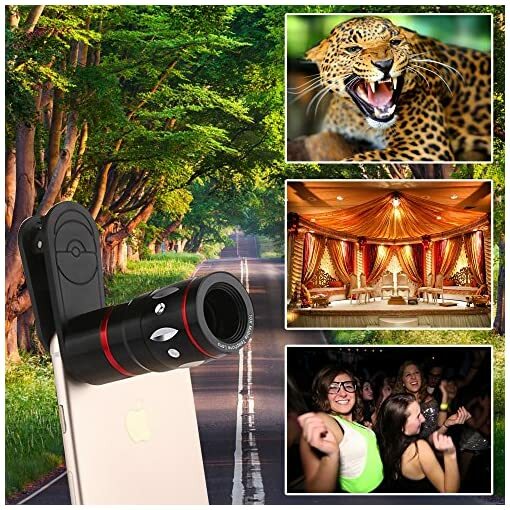 It’s perfect for taking pictures of long distance objects, like buildings, landscapes, concerts, travel, animal observation, and many others. 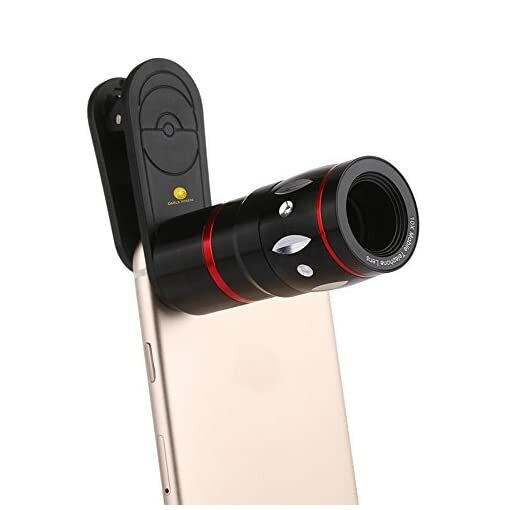 CAPTURE DISTANT SHOTS WITHOUT DISTORTION : This 10X Telephoto Mobile Camera Lens overcomes the shortcoming of a smartphone that can only take near-sighted photos. It offers high resolution and good color reproduction even for zoomed in stills. 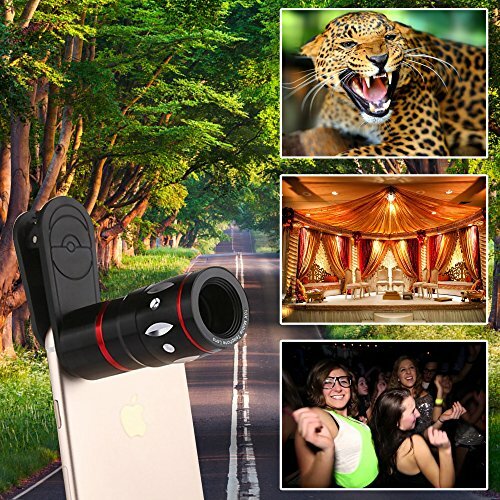 EASY TO INSTALL AND USE : If you love photography you will most certainly have fun playing around with this Clip-On Camera Lens for your cellphone. 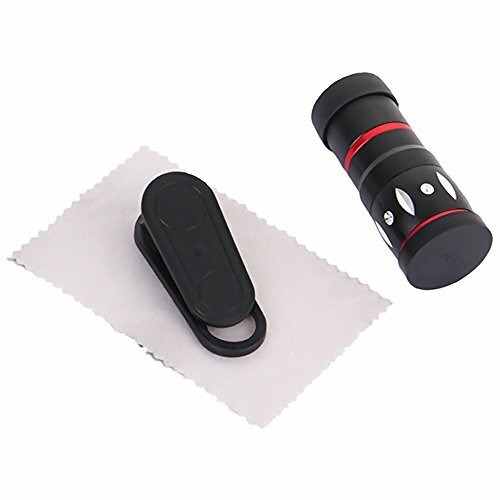 The Universal clip-on design makes it easy to install and use. It can also be used as a standalone telescopic lens to help you view distant objects, sceneries, games and concerts more clearly. There are times when simply getting closer to your subject isn’t an option, such as when photographing wildlife or a candid moment that if you get any closer it might scare your subject away. This is the time when a telephoto lens becomes handy. 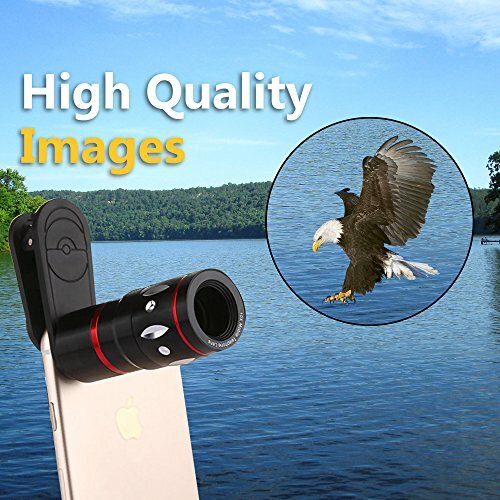 You may now experience high quality mobile photography and instantly transform your mobile phone into a Telephoto Camera Lens and capture breathtaking and unforgettable scenes even from afar. 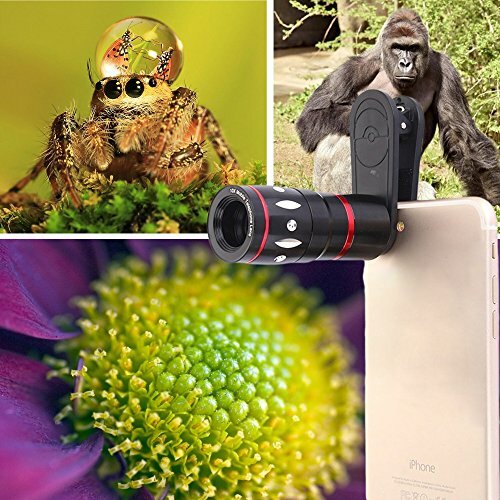 With this 10X telephoto lens, this cellphone camera zoom lens will overcome the shortcoming of smartphones that can only take near-sighted photos without distortion – it’s like taking superior quality photos like a pro! It attaches to almost all smartphones using its removable clip without leaving ugly marks or scratches on the device. 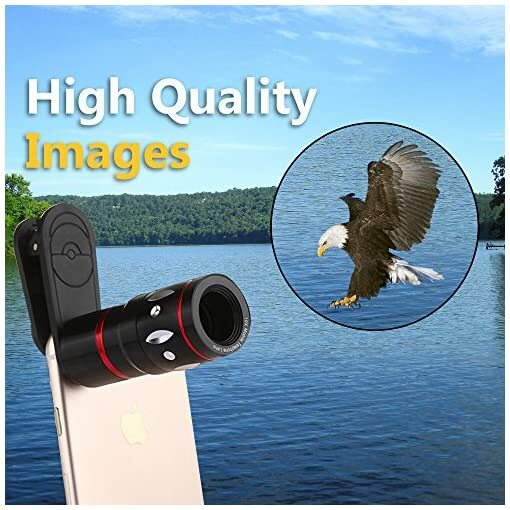 Remove this camera lens from your smartphone and have yourself an instant monocular perfect for your travels, bird watching, watching wildlife or scenery, watching games of F1, football and basketball and so on. 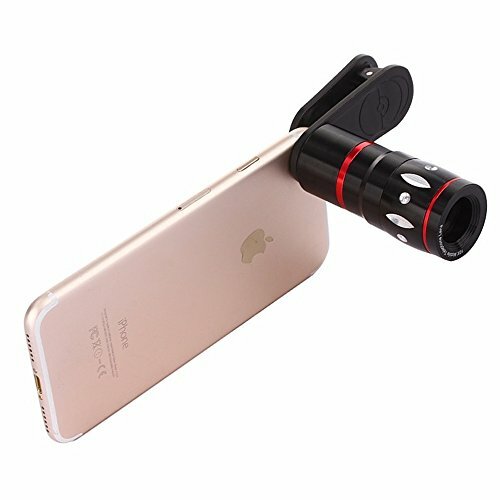 Just attach the telephoto lens to your phone using the detachable clip if you want to take photos again. 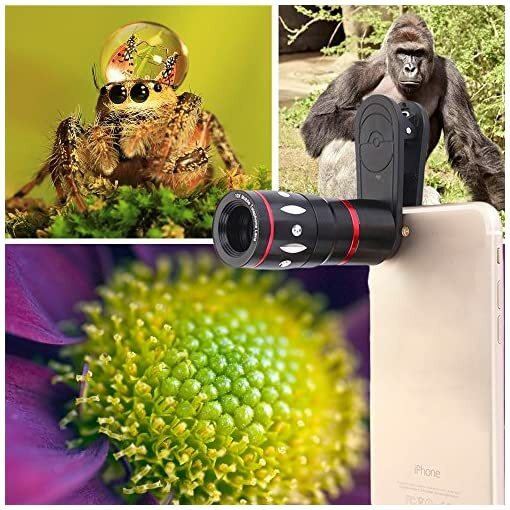 So, the next time you explore the outdoors make sure to bring this handy, lightweight camera lens with you and capture every moment for that timeless memory. 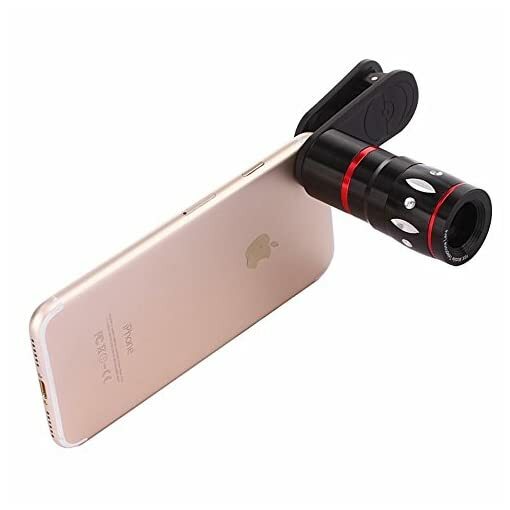 UNIVERSAL COMPATIBILITY : This lens kit adopts a Universal Clip-on Design that supports almost all mobile phones with single camera lens such as iPhone 7, 6S Plus, 6S, 6 Plus, 6, 5, 5S, LG, Motorola, Huawei, HTC, Sony and more. ROBUST CONSTRUCTION : Manufactured with high-grade metal body for increased durability making it the perfect companion for budding photographers. This telephoto lens doesn’t add up much weight to your mobile device making it the perfect travel accessory to achieve that Instagram-worthy shots.